Following on from last year’s successful conference in co-operation with MANCENT, we are continuing the series of conferences on the Roman Military. 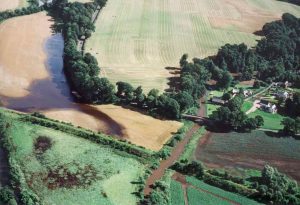 The idea is to explore how the Roman army is was using rivers for their own needs, of particular interest is the questions of the presence of harbours in the vicinity of Roman forts. How common are permanent harbour installations such as stone or wooden quays or breakwaters? What is the evidence for ship sheds or shipyards close to Roman sites? How do you recognise a chandler’s shop in the archaeological material? Should we be looking for nothing more sophisticated than a sandy bend in the river that might allow small river boats to be run ashore at night? How common are riverside warehouses? How do you differentiate between civilian and military use in harbour facilities? In the last 10 years, a lot of research has been conducted on Roman trade and harbour installations, both in Britain and especially abroad from Ostia to the large research project on the Rhine harbours and anchorages. We would like to invite established scholars and postgraduate to submit papers to this day conference and workshop. The deadline for submissions will be April 15th, 2017. Dr. Birgitta Hoffmann, Roman Gask Project. (latinteacher@btinternet.com) or directly director.romangaskproject@yahoo.com.